1) effectuate the smooth transition of the ownership of the business, and 2) maximize the financial “return on investment” that current ownership can attain through the business transition. 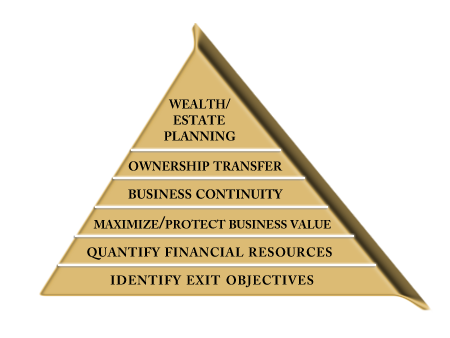 The Brooks Group, through its suite of services, works to meet the succession planning objectives of its client. Depending upon the needs of any particular project, the services provided by our firm may focus upon just one aspect of the client’s succession plan (such as valuation or “M&A” advisory services) or upon their overall succession plan (i.e. succession plan development, implementation, and management). Whatever the role required by the client may be in a particular circumstance with regards to their succession planning needs, The Brooks Group is positioned to work with them to achieve their succession planning objectives.